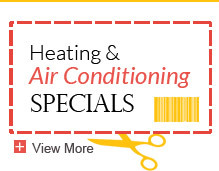 Air conditioning is a technology that has been around for less than 115 years. Air conditioning was invented by an American electrical engineer named Willis Carrier in 1902 as a solution to combat humidity for a publishing company. The air conditioner that Carrier invented successfully solved the humidity problem at the publishing company in Brooklyn, New York. This is because cool air holds less moisture than warm air. The employees also enjoyed the side benefit of having a cooler workplace. Carrier was wise to realize that people of all walks of life could enjoy the cool air produced by his air conditioner. Downplaying the air conditioner’s dehumidifying capabilities and emphasizing its ability to cool hot buildings, Carrier started selling air conditioners to New York City movie theaters. Although the technology of air conditioning was revolutionary, the science behind it is fairly simple. Central air conditioning relies upon the physical law that when liquid is converted into a gas, it absorbs energy in the form of heat. The process of converting liquid into gas happens within your air conditioner’s evaporator coils. The evaporator coils contain refrigerants which can be converted into gas at relatively low temperatures. In fact, the warm air from inside your house contains enough heat to convert the refrigerants into gas. 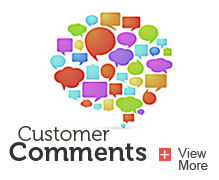 A fan pulls the warm air from your house over the evaporator coils of the air conditioner. The warmth is absorbed as the liquid converts into gas and the cold coils further chill the air. The cold air is then distributed throughout your home via fans and air ducts. In order for your air conditioner to run continually, the refrigerant must be converted from gas to liquid again and again. 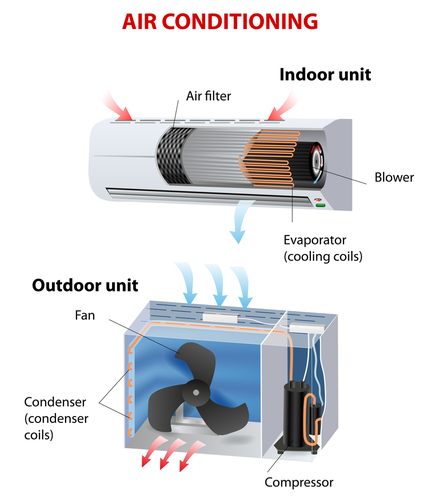 In order to convert the gas back into liquid, the compressor in the outdoor unit of your central air conditioner pressurizes the gas until it converts back into liquid. This process creates heat. 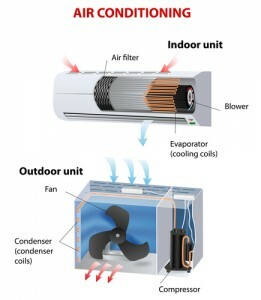 A fan is used to push the unwanted hot air outside via another set of coils called condenser coils. This process repeats itself continually in order to reuse the refrigerants and keep your air conditioner running continually. Liquids are converted into gas, a process that absorbs heat. The gas is then pressurized until in reverts back to a liquid form; and the process repeats itself. 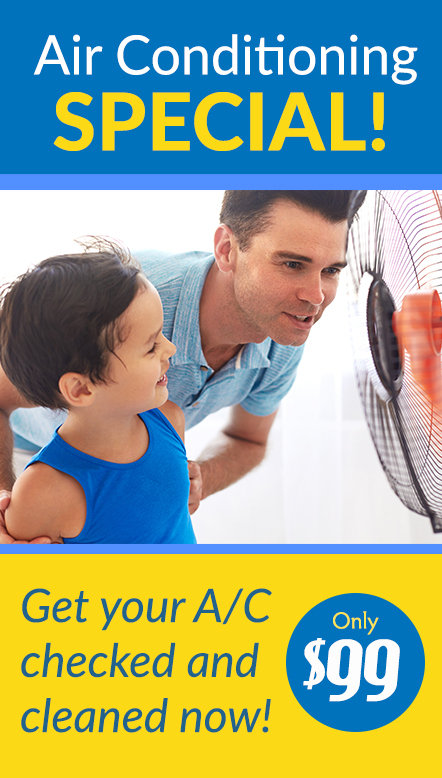 Follow us on Facebook and Twitter for more useful air conditioning tips and information.